It can be either played with the unusual beaters provided or by hand or a combination of both! 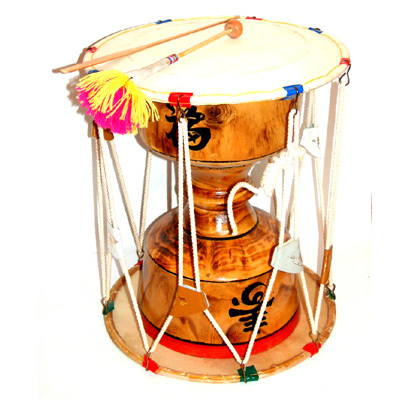 This enormous rare double headed drum from Korea is played to accompany traditional dances. It can be either played with the unusual beaters provided or by hand or a combination of both! Comes with two beaters and a vinyl carry case. Height: 64 cm, Diameter: 46 cm.